If you're looking for quality swimwear, in a whole range of styles and fits, then our selection of men's pieces from Boardies is something to take a look at. On top of that, with the Boardies sale you can get your hands on the best designs for a fraction of the cost. Regardless of the weather, it's always a good idea to have a piece pieces of decent swimwear, even if it's shoved into the back of your wardrobe until the sun comes out. Boardies swim shorts come in bold designs for fearless poolside looks, as well as simple designs for those gym sessions where you don't feel making a statement. In order to stay up to date with all our latest sales, why not sign up to our newsletter? You'll receive the latest editorial stories, Boardies coupon codes, as well as plus 10% off of your first order from The Idle Man. If that's not enough, if you spend £5o on our website you’ll automatically receive free shipping to help keep extra costs down. Got a friend that likes a deal? With our Refer a Friend scheme if you share your discount code on social media, or invite your friends via email, you'll be able to send them £5 worth of credit, and you’ll get £5 when they spend £30 or more in their first shop. If you're in the midst of the student life, and you've got a valid NUS or student card, then you can benefit from our Student Discount page. 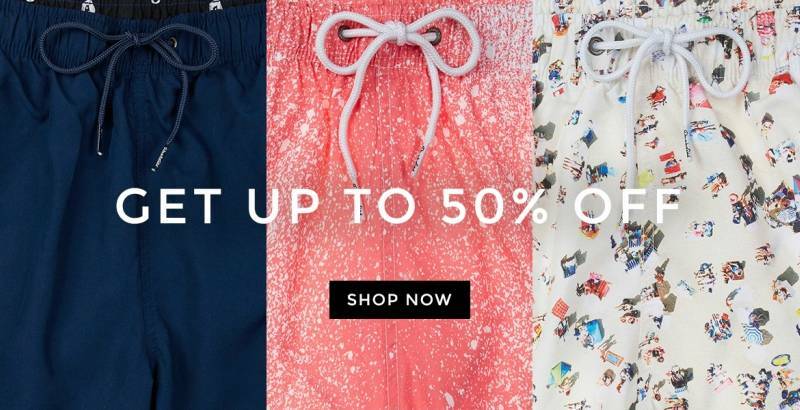 You'll automatically get 10% off Boardies as well as many more brands. Despite their summery vibe, Boardies actually started its life in rainy Shoreditch, London, taking inspiration from the designer's connections with the party island Ibiza. Worn by 'real people who do real things' as the brand likes to emphasise, Boardies swimwear is often worn by party-goers including top DJs and regular Ibiza visitors. With our Boardies voucher codes you can grab yourself the perfect pair of swimming trunks while save some money for your next trip away.